Genuine cowhide leather throughout, triple stitched for maximum durability. Extra padding in fingers and palm. White Leather with Black mesh back. Designed to fit every sport. 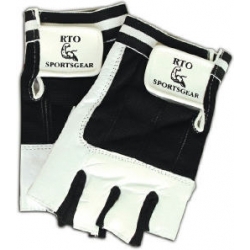 Our most popular glove.